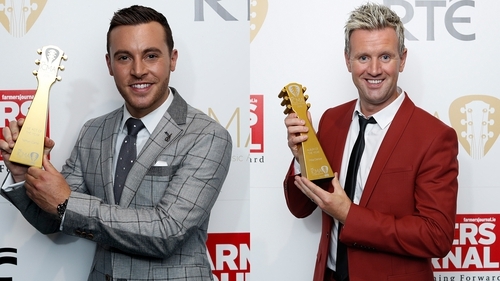 Nathan Carter and Mike Denver were the big winners at the inaugural RTÉ Irish Country Music Awards on Friday with each singer taking home two gongs on the night. Carter won Live Act of the Year and Ireland's All-Time Favourite Country Song for Wagon Wheel while Denver was named Entertainer of the Year and also won Album of the Year for Cut Loose. The All-Time Favourite Country Song and Entertainer of the Year awards were voted for by the public. Lisa McHugh was named Female Artist of the Year with Jimmy Buckley Male Artist of the Year. Big Tom McBride became the first inductee into the Hall of Fame with Philomena Begley receiving the Lifetime Achievement award. The Video of the Year award was won by Robert Mizzell for Day Job with Derek Ryan winning Songwriter of the Year. The Newcomer award went to Cliona Hagan and there were also wins for Michael English (Country Dance Act) and Ritz Records founder Mick Clerkin (the Industry award). 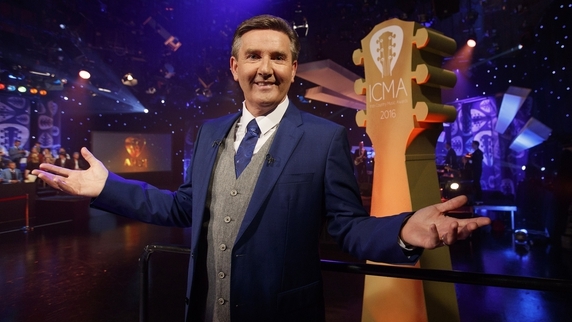 Daniel O'Donnell was the host of the show on RTÉ One and said he was delighted the awards were being staged. "For all of us who are involved in country music, to have this show on RTÉ is just what you would always have wanted to happen," he said. The Donegal star's Christmas Shows at Dublin's Convention Centre on December 10 and 11 sold out in 15 minutes on Saturday morning and he has now added an extra date for Friday December 9 with special guests Kilkenny Presentation School Choir. 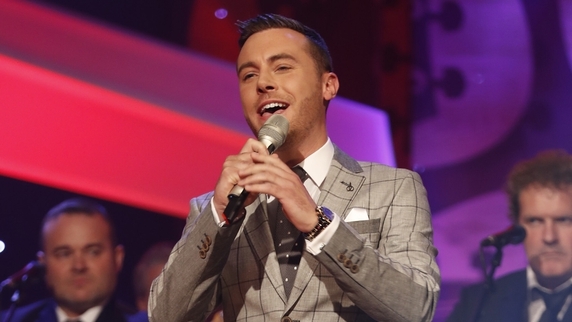 Before Friday night's show, double winner Nathan Carter disclosed that he would "love to" break into the massive country music market in the US, saying he would relish the challenge. The Liverpool-born singer, who has taken Ireland by storm with his distinct brand of country music, said that he has set his sights on American success. "My last DVD that we recorded, Live in the Marquee, which was in Cork, is hopefully going to be played on PBS Television there over the next few months," he told TEN. "So depending on how well that goes, you could see us going over there to do a tour and take it from there. "I've never really toured America so it'd be great to get out there." The chart-topping Wagon Wheel singer also discussed his plans to gig further afield later this year. "I'm actually doing Australia for the first time this year as well. We're going out there for three weeks so that's going to be interesting because I hear there's flights to most gigs. It's not a road trip; it's a flights sort of thing. So that's going to be different. "But I'm up for any new challenge. On the way to Australia we're going to Dubai and on the way back we're going to Japan so all these places are brand new to me. I can't wait for the challenge - I'm up for it."